Ian McDonald (born 25 June 1946, in Osterley, Middlesex) is an English multi-instrumental musician, best known as a founding member of progressive rock group King Crimson, formed in 1969, and of the hard rock band Foreigner in 1976. He is well-known as a rock session musician, predominantly as a saxophonist. He also plays flute, vibraphone, keyboards, and guitar. Born in London, McDonald served five years in the British Army as a bandsman. Born in London, McDonald served five years in the British Army as a bandsman. His music talent ranged from classical orchestra to dance bands to rock. In 1969, he was in King Crimson's initial line up, which recorded their first album In the Court of the Crimson King. McDonald and drummer Michael Giles departed and formed a spin-off group that released one album titled McDonald and Giles. 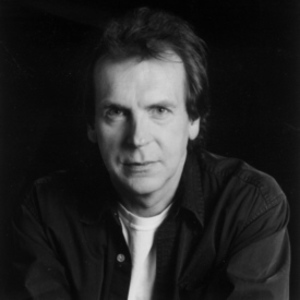 He re-appeared in King Crimson in 1974 and intended to rejoin the band as a full member but did not get the opportunity to do so given Fripp's decision to split the group. He became a founding member of the band Foreigner in 1976, for whom he played guitar as well as his trademark woodwinds and keyboards. He has been a session musician and appeared in the recording of the hit single "Get It On (Bang a Gong)" by T. Rex, and recordings by Linda Lewis, Christine Harwood amongst others. He also has some production credits to his name, including albums by Fruupp, Darryll Way's Wolf and Fireballet. In 1999, he released a solo album, Drivers Eyes. In 1997, the release of the King Crimson 4-CD set Epitaph, consisting of rare live recordings of the 1969 version of King Crimson, renewed interest in the early Crimson material. Out of that interest, the 21st Century Schizoid Band was formed in 2002 and several tours and live albums have followed. The band includes former King Crimson members Michael Giles (drums & percussion), Peter Giles (bass), Ian McDonald (sax, flute, keyboards), Mel Collins (alto/tenor sax, flute, keyboards) and also Jakko Jakszyk from Level 42 on guitar and lead vocals. After the first tour Michael Giles was replaced with another former King Crimson drummer Ian Wallace, who has since died.